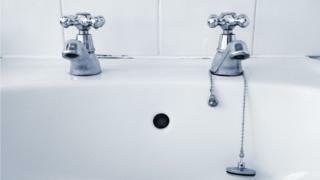 “This tradition dates back to a time when hot and cold water were kept separate to prevent contamination through cross connection,” he said. “Cold water came from a mains supply and was fit for drinking. Hot water would be serviced by a local storage cistern often situated in the loft. “One of the reasons to maintain that over the years was reported to be so that the visually impaired would always know which sides the hot and cold were on,” said Mr Wellman. “When mixer taps came into vogue there was still a requirement to make sure water didn’t mix until it came out of the tap,” he said. John O’Neill is technical engineering manager at NICEIC, a registration body for the electrical contracting industry. He said: “In the UK we follow British Standard Requirements for Electrical Installations. “These consider the bathroom to be an area of increased risk because the body could become immersed in water in the bath. “The body’s resistance to electricity drops significantly when immersed or partially immersed in water. “We judge it more likely that contact with live electrical parts would likely increase the effect of an electrical shock, and under some circumstances shocks could be fatal. “It’s not about having wet hands because you can have sockets and switches in the kitchen – it’s about immersion. You should not be able to be in the bath and reach out and switch anything on. Mr O’Neill said other countries allowed power sockets and switches in their bathrooms but it had nothing to do with a difference in voltage. “It’s about perceived risk and the regulations in place in this country,” he said. “Why is it that outside every beautiful home on every street in the UK there’s garbage bins standing out like the pride and glory of every home?” asked Stephanie Taylor Jamal, 46, who moved to Watford from Bangalore in India. “This is such a beautiful country – to find these bins so carelessly tossed right in front of homes – the quaintness of the town or city is lost,” she said. Homes in areas with a high population may not have outside space at the back or sides for bins to be stored, leaving residents no choice but to keep them outside their front doors, said a National House Building Council report into “bin blight”.